Easily visualize and map your contacts, companies, or deals. 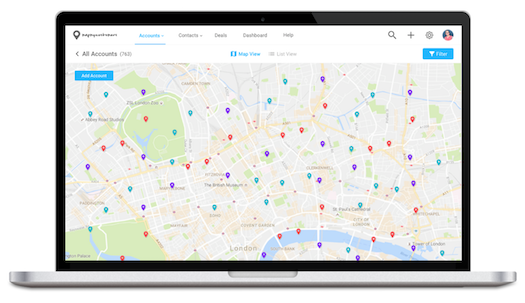 Use Map My Customers to better execute as a salesperson or sales team. 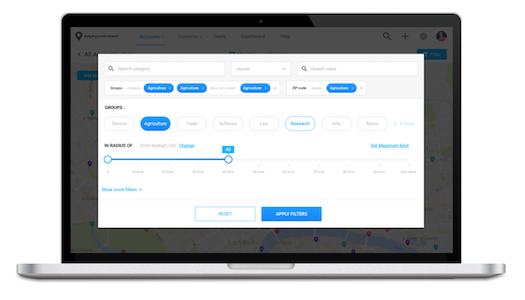 Benefits include robust visual querying to find customers matching specific criteria, powerful customer and opportunity visualization while on the road to find your biggest deals, and personal accountability with our cadence management features to make sure you never miss a visit again. This integration requires both Map My Customers and HubSpot. Learn more. Target the right customers in seconds using a powerful spatial filtering engine. Use colors and groups to segment customers by what they sell or who's selling it. This integration provides powerful mapping and data visualization software that sync with your contacts, companies, or deals in HubSpot.